Norman began practising yoga in the early 1990s and he has been teaching since 2001. His practice and teaching embrace both ashtanga yoga and Yin yoga as well as mindfulness meditation. Through significant periods of training with teachers such as Alaric Newcombe, Judith Lasater, Richard Freeman and Sarah Powers, he has gained the Yoga Alliance 500 hour accreditation. He believes that yoga is accessible to all of us and through regular practice we can experience profound changes in our mind and body. His own experience has taught him that yoga is an enjoyable way to release and make available energetic potential to enhance our lives. Yoga can help us to become more flexible, physically stronger and improve our stamina, focus and awareness. 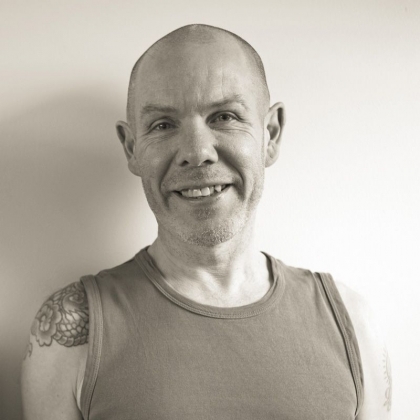 Norman teaches yin yoga classes and workshops throughout London. He teaches retreats and his Yin yoga training courses are respected and popular. He has run yoga teacher mentoring groups for more than ten years. Brightening Our Inner Skies: Yin and Yoga practically and provocatively explores yoga, self-transformation and social responsibility. 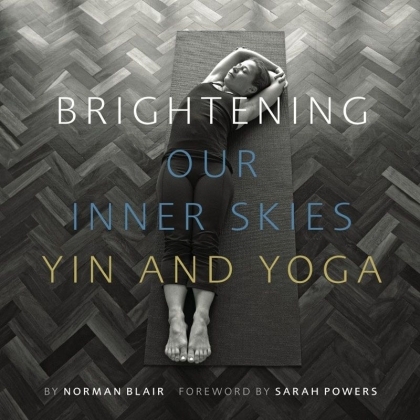 Both a meditation on the role of yoga practice in the world, including Norman's personal journey, and a Yin yoga manual with over 140 photographs of poses as well as suggested sequences, this book takes the practice of yoga and self to profound levels through stories, images and well-researched debates. If you would like to buy 5 or more copies, please contact Norman direct. This website is dedicated to my brother, James Blair (1960-2018), whose beautiful photos of nature illuminate this site. May he be well, may he be happy, may he travel in peace.